I think I might make brownies my new project. While no recipe will ever compare to my mom’s, brownies in general are just easier for me to make than, say, donuts. The basic paradigm is chocolate (can be in the form of chunks, chips, or powder), butter, eggs, flour, and sugar. Add a twist like peanut butter, peppermint, cream cheese, raspberry, coconut, coffee, meatballs, etc., and the options are endless. While a truly great brownie is not just stumbled upon, pretty good brownies are pretty easy to make. For my first trick, I recreated Bon Appetit’s Cocoa Brownies with Browned Butter and Walnuts. How could I resist, with a name like that? They turned out to be “one pot” friendly, meaning everything was melted and stirred and beaten in just one pot, which makes clean up easy and SB happy. 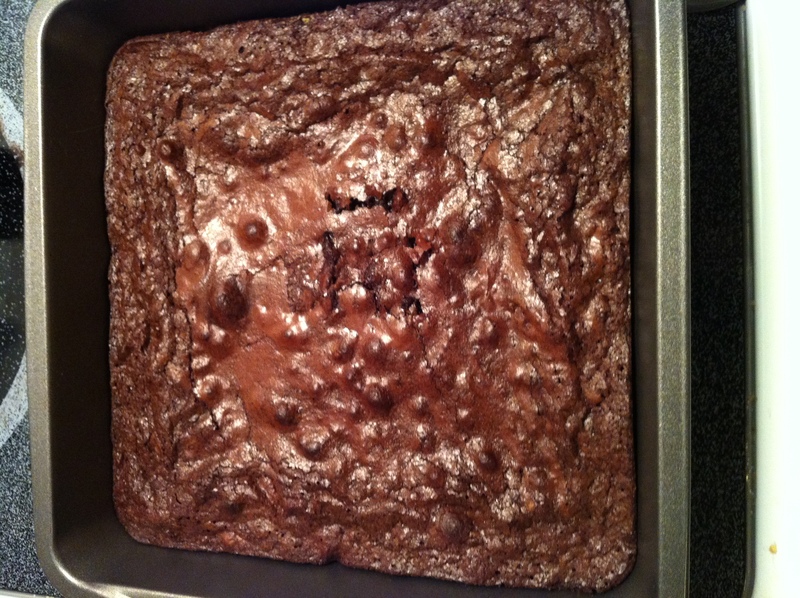 The resulting brownies were nutty tasting and not overly sweet, but chewy and with a full-bodied chocolate flavor. The best thing about brownies that aren’t too sweet? 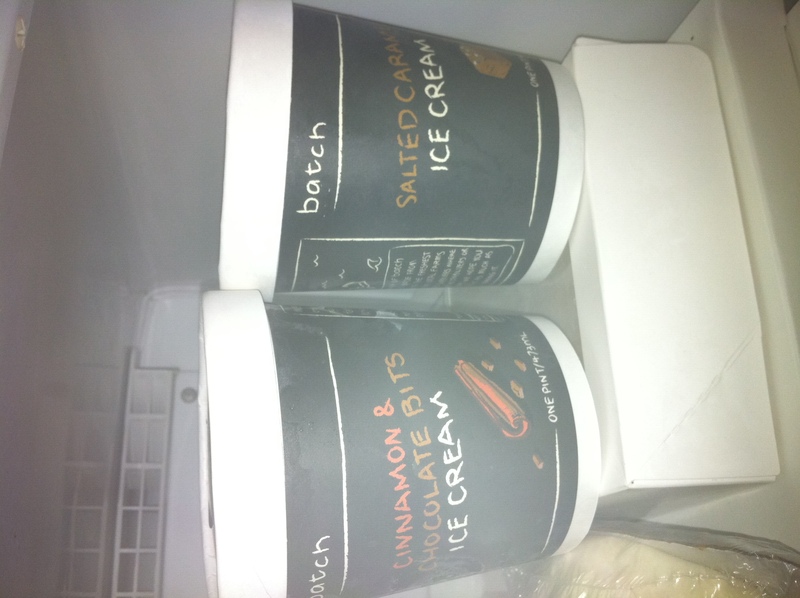 They taste even better with ice cream, and especially good with my newest obsession: Batch. I first discovered and wrote about Batch – a small ice cream company running out of Jamaica Plain – last fall, when I was whining about the hordes of people at the Boston Local Food Fest. The best part of that event was being introduced to one of Batch’s six flavors, and now that I’m going to be dabbling in brownie experimentation, I plan to pair as many chocolate squares with as many Batch flavors as possible. mmmmm salted caramel ice cream!!! i tried this recipe and loved the texture but wasn’t thrilled with the flavor…maybe i browned the butter too much :( anyhow, glad it worked out for you!